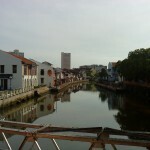 Melaka enjoys a strategic location on the west coast of Peninsular Malaysia, along the historic Straits of Malacca, covering an area of 1,650 sq km. Established in 1403, it was an important trading post in Malaysia’s early history and attracted traders from all over the world. 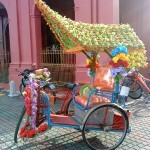 Come, experience wonder and excitement in historical Melaka! Baba and Nyonya Heritage Museum – this building is typical of the 19th century Baroquestyle homes of wealthy Chinese families. Furnished with Chinese rosewood furniture with a mix of Chinese, Victorian and dutch designs, this longish residence has an interior that opens into a courtyard that admits sun and rain. this museum was the ancestral home of three generations of a Baba nyonya family and is situated along Jalan tun tan Cheng Lock. 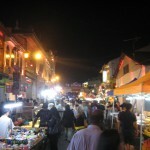 Jonker Street – or Jalan Hang Jebat is interspersed with antique shops selling an interesting array of authentic artefacts and relics. Some date as far back as 300 years and can be found among a host of interesting collectibles, each with its own history and mystery. Located in the older section of the city, Jonker Street is popular among bargain hunters and antique collectors. Maritime Museum – the Maritime Museum is housed in a replica of the Flor de la Mar, a Portuguese vessel that sank off the coast of Melaka. 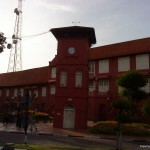 the museum has pictorial displays of the history of Melaka, beginning from the Sultanate of Melaka in the 14th century to the pre-independence era. inside the museum are models of ships, authentic maps, charts and old iron chests that were once used to store precious cargo. Melaka River Cruise – the 45-minute Melaka river Cruise passes through the downtown area where you can see old warehouses, shop houses, bridges and Kampung Morten, a traditional Malay village. the return trip passes wharves down river. Booking for cruises along the Melaka river can be made at the quay behind the tourist information centre. Melaka Sultanate Palace – a replica of a 15th century palace in Melaka, this museum mainly displays exhibits that are related to the culture of Melaka. other items include a huge diorama depicting a sultan’s court as well as clothing, weapons, stone inscriptions, musical instruments and photographs. Porta De Santiago (A’Famosa) – the Portuguese admiral, alfonso d’albuquerque, built Porta de Santiago or a’Famosa in 1511. However, this fortress was badly damaged during the dutch invasion in 1641. Fortunately, Sir Stamford raffles, a British official, intervened in 1808 and saved what remains of a’Famosa today. 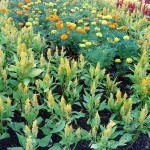 this famous landmark is located near St. Paul’s Church. 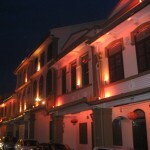 Stadthuys – the Stadthuys is the most imposing relic of the dutch rule in Melaka. it features salmon red walls, heavy wooden doors and wrought-iron hinges. once the official residence of the dutch governors and their officers, it now houses the Museum of History and ethnography. next to it is Christ Church, a dutch reformed Church that was constructed in 1753. Taming Sari Tower – a 360 degrees view of Banda Hilir and its environs awaits you at the 110m high taming Sari tower. the name and design of this tower was inspired by the taming sari dagger, the legendary weapon owned by the Malay warrior, Hang tuah. this tower is only a few minutes away from the dataran Pahlawan Megamall and Mahkota Parade Shopping Complex. A’Famosa Resort – the star attraction in alor gajah, the a’Famosa resort boasts several themed attractions, which include the a’Famosa Water World, a’Famosa animal World Safari, a’Famosa Cowboy town and a children’s theme park. this resort is situated just off the north-South expressway.